There's nowhere to defect to any more! Jesus and The Man From U.N.C.L.E. I'm losing my head - well, why not? Keyboards & programming: Chris Lowe, Neil Tennant, Pete Gleadall, Tim Powell, Jason Resch, Matt Gray, Nick Coler, Kieran Jones. Guitars: Johnny Marr, Jason Resch. x Neil Tennant: "This song is where we leave the pure pop thing and get a bit more strange. I thought of these lyrics when I was walking down the road one day. I think it's because at my house in the country in Durham I built a wall. I had the line 'I'm building a wall, a fine wall, not so much to keep you out, more to keep me in' for ages before it developed. 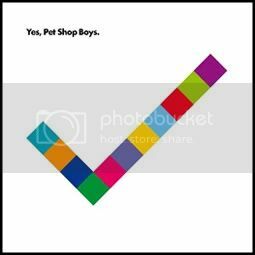 It's a very Pet Shop Boys-sounding track and also I like the fact that it's got both mine and Chris's voices on it."